Every day professionals use our high-performance solutions to reduce and control humidity in enclosed environments. We are proud to bring you durable, reliable and efficient equipment based on 40 years of innovation for the flood damage remediation industry – and engineered and built in our Washington State plant. 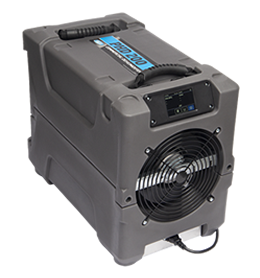 The Dri-Eaz® PHD 200 Dehumidifier is ideal for crawlspace and basement humidity control and drying when leaks and flooding occur. 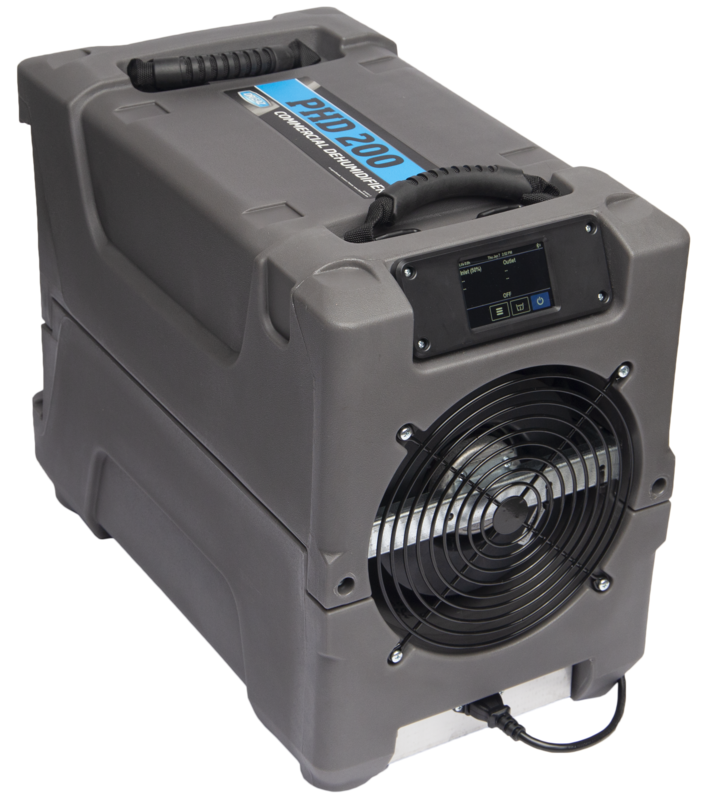 This powerful refrigerant dehumidifier is perfect-sized for spaces up to 7,500 cubic feet and its on-board humidistat makes it easy to “set and forget” a target humidity level. Precisely control humidity levels in crawlspaces or basement utility rooms and shower areas where mildew or mold can grow. A high-visibility control panel shows operating and ambient temperatures and relative humidity and tracks hours powered on. It also features a purge control for the condensate pump reservoir. Best of all, it’s easy to set the humidistat to control humidity levels automatically. When the unit is properly placed, dehumidified air flows throughout the space, optimizing humidity control and maximizing efficiency. Operates in cooler temperatures: as low as 45° F. An automatic defrost system helps to prevent iced coils that can reduce efficiency. Automatic pump system lifts out collected moisture up to 3 feet and drains it through a 20-foot drain hose (included). Disposable mesh air filter captures harmful particles that might damage dehumidifier or reduce efficiency. Easily and quickly disassembled for any needed maintenance and cleaning. Onboard self-diagnostic system runs each time the dehumidifier is powered on to check for potential issues and ensure smooth operation. Automatically restarts after power interruption once power is restored. Pump head height (max. ): 3 ft.
Operating mode: Humidistat (default) or continuous. Operating temperature range: 45°F–100°F | 7°C–38°C Does not reduce humidity in conditions below 45°F or less than 40% RH. Specifications are subject to change without notice. Some values may be approximate.